Author Sherine Dharmawardena is crazy about making a positive change to the way people dispose of rubbish. 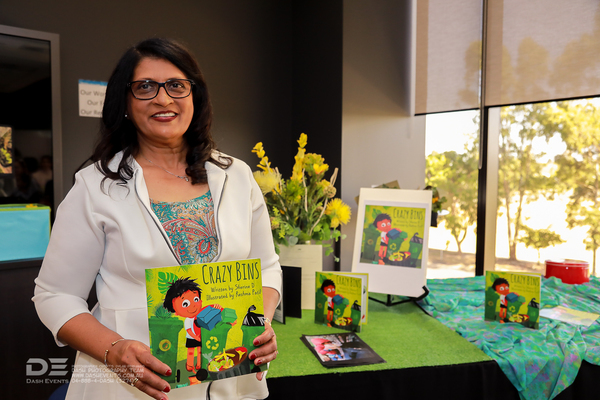 Families gathered for the launch of her first children’s book Crazy Bins which launched at Bunjil Library Sunday 24 March. Crazy Bins is a little boy’s big voice on the importance of garbage disposal, a true story inspired by her grandson Zavier Dharmawardena. 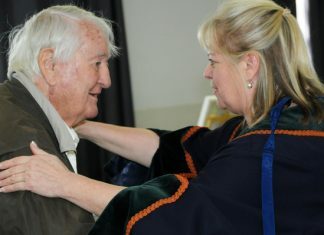 The book, written in a rhythmic style, was read by Rebecca Rodriguez to the group. Thereafter children took part in an activity showing adults the appropriate bin to dispose of items. Sherine said she hoped her new book will be a guide for adults to encourage young children towards positive environmental change. Casey sustainable education officer David Westlake, presented ‘reduce, recycle, reuse’ magnets to the children.Sherine looks forward to continue her sustainability camapaign.